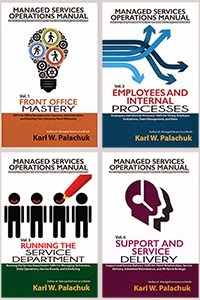 Small Biz Thoughts by Karl W. Palachuk: New Class: Managed Services in a Month - Applying the Book! 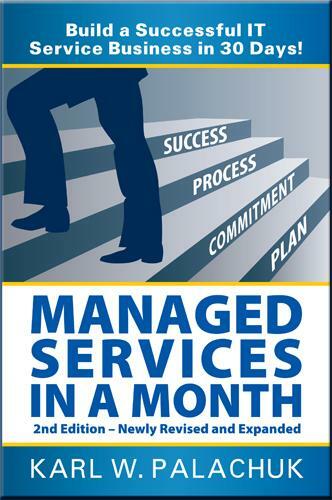 New Class: Managed Services in a Month - Applying the Book! Our next 5-week class starts next week! All classes are recorded. Handouts are amazing! 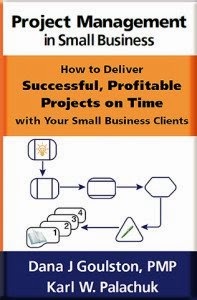 This course will cover the process outlined in the book - to build your managed service practice in a month. In this case, five weeks. For more information on the book, seewww.managedservicesinamonth.com . What's Different About Technology Consulting Today? Delivered by Karl W. Palachuk, blogger and author of the very popular "SOP Friday" posts at http://blog.smallbizthoughts.com . Includes five weeks of teleclasses with related handouts, assignments, and "office hours" with the instructor.